Visit masters of Dong embroidery and Tin embroidery. See local villages making their textiles at every opportunity. Very small group and personalised tour with experienced guide who speaks most local dialects. Opportunity to visit homes while locals prepare for festivals. Day 5: Rongjiang to Nanshao: Today we drive to Leli and Ruili where we meet a ‘master’ of coiled floss stitch of the Dong group. Her stitches are very fine and done with precision and speed. We will spend the day visiting different dong groups, exploring the villages and seeing the embroidery being done. Visiting Liuying who we met on a previous trip who was making a very traditional jacket for her mother to take her into the invisible world. The coiled floss is the skill that every woman needs to have and is used widely on baby carriers, aprons, jackets and baby caps. In the afternoon we will visit Kongsheng to see the Mini-skirted Miao who make the shortest pleated skirts with delicate pleating. To Nanshao. Overnight. 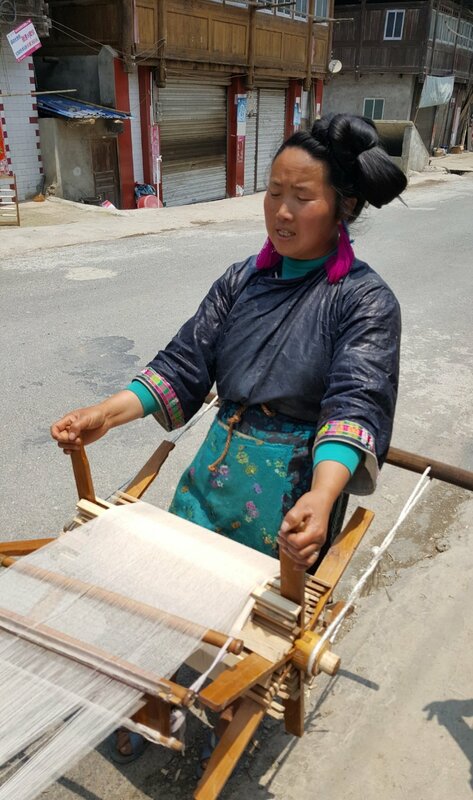 Day 6: Nanshao to Kaili: Today we will visit the Tin Stitch Miao who live near Jianhe. Tin stitching is quite rare to see. They make very fine embroidery on a dark hand woven background with very fine strips of tin. This rare stitch is only used in small panels as an apron and another panel at the back of their jacket. In the afternoon, we will drive to Kaili, and visit the festival of the Short-skirt Miao. Stay in Kaili. Day 7: Kaili to Pingba: Today we visit the Black Miao group who fled from war with the Manchurian army in the 1870’s. They are scattered in the outskirts of Pingba. They will host their festival ‘Tiaohua’ – Dance to a holy tree. The tree transplanted in the mountain slope is considered a symbol of prosperity for having children and wealth. 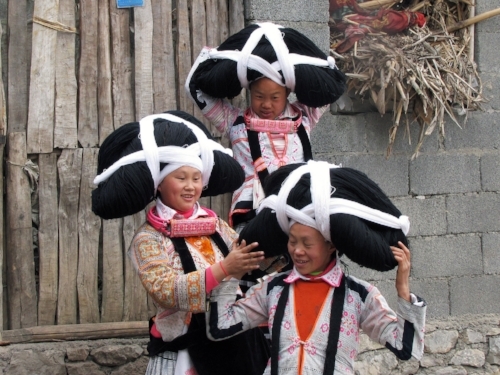 It is expected that several other Miao groups will join this festival. Stay in Pingba. Day 8: Pingba to Nayong: We are hosted by the Flowered Miao, who are similar to the Vietnamese Hmong in Lao Cai. This festival will attract thousands of people, but few visitors. Stay in Nayong. Day 9: Nayong to Suoga: This will be the highlight of the tourin Guizhou. All the Long-Horned Miao from twelve villages will meet in Suoga village. Single girls will be fully dressed with long comb in a huge horn shape to fix the hair from several generations in to an extraordinary headdress. The girls will be in full festival dress displaying their embroidered garments. As the festival starts at around noon, we will visit their homes and learn more about their textiles, embroidery and batik, and see the girls getting ready! Stay in Liuzhi. Day 10: Luizhi to Guiyang. We will visit stone castles near Anshun built during the Ming and Qing dynasties, as well as the Buyi group who do exquisite batik. Overnight in Guiyang. 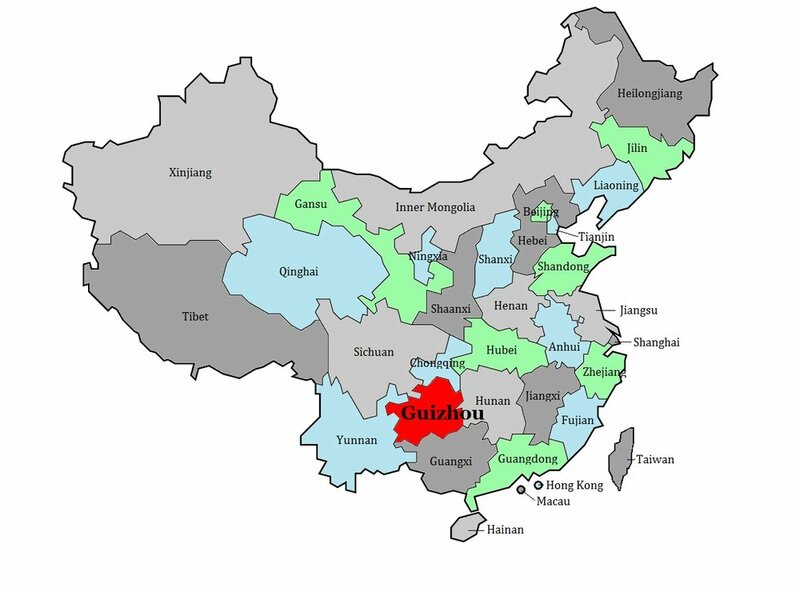 Day 11: Guiyang to Guangzhou: Visit the sites of Guiyang in the morning, ready for high speed train to Guangzhou. Overnight in Guangzhou. majority of nights in quality 4* hotel accommodation with the 2 nights in 3* accommodation and f 1 night in basic hotel. Materials for lessons with Masters of Chinese embroideries included.